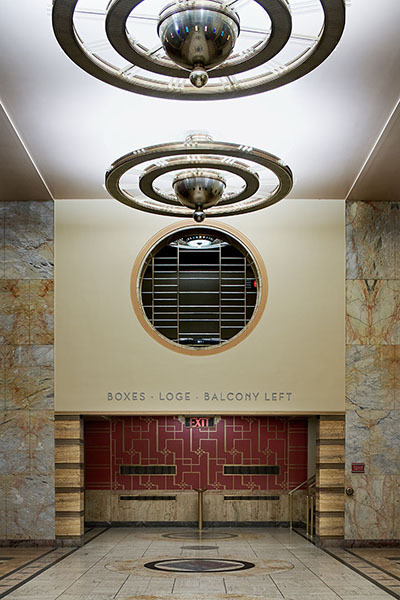 As the stage for Broadway shows, opera, ballet and symphony performances, the Music Hall and Little Theatre a pair of elaborate Art Deco performance halls, play a significant role in Kansas City’s cultural history. 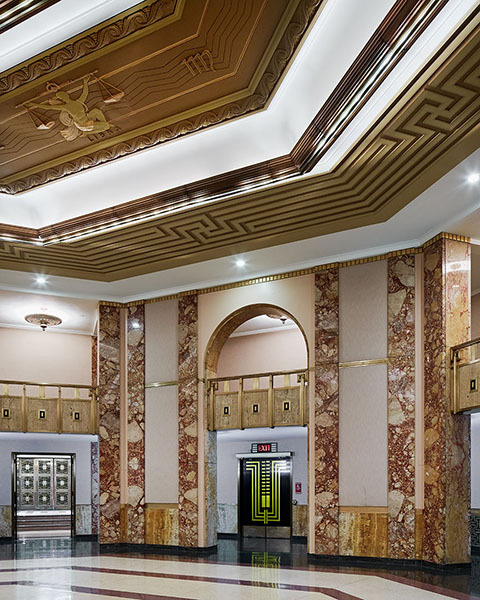 Carefully considered architectural detailing allowed us to seamlessly blend their renovation of operational and accessibility improvements into the historic building fabric. 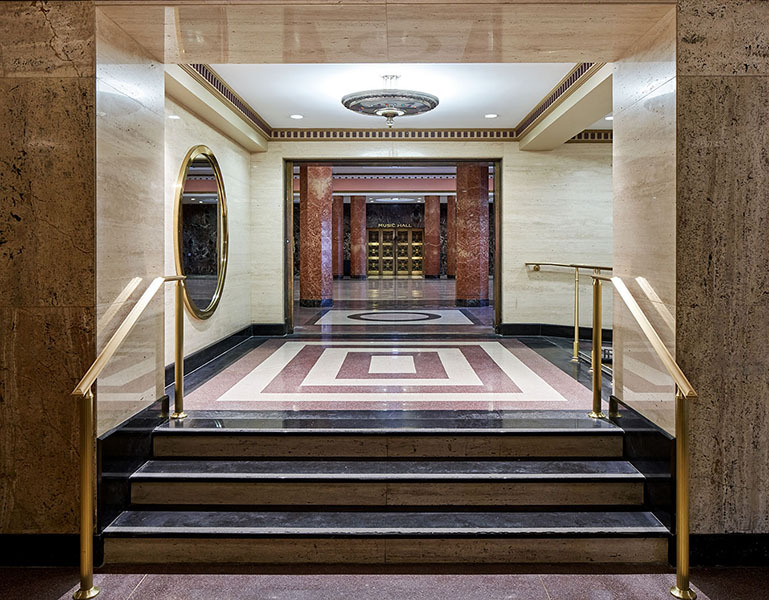 Improvements subtly begin at the exterior, with modification of an existing limestone ramp to bring into ADA compliance, and new stainless steel handrails at each of the granite entry and exit stairs. At the box office, a check writing counter of travertine and gray marble replicates the historic stone materials. New wayfinding signage at entrances guides guests through the ornate lobbies and grand staircases to the theater spaces inside. 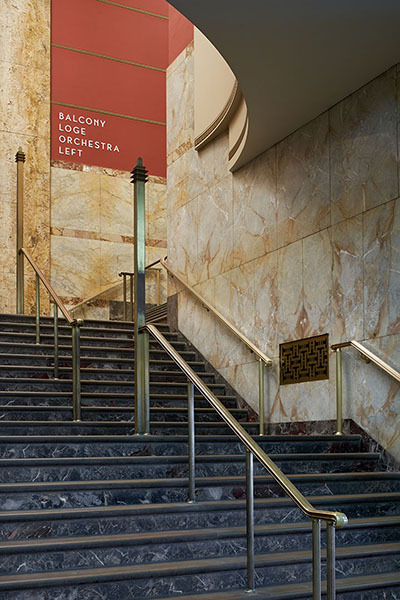 A new ramp and four new viewing platforms were created within the Orchestra Level of the Music Hall to provide required accessible seating. 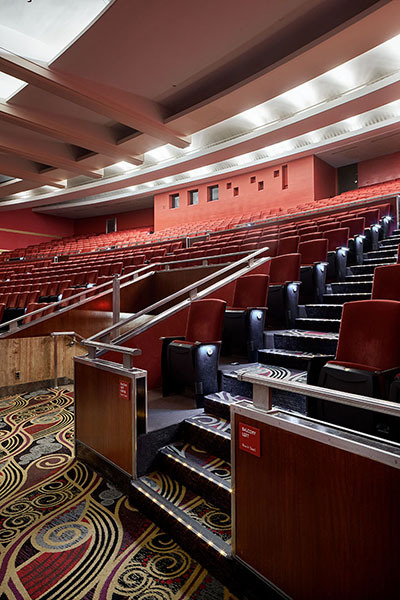 At Loge and Balcony Levels, new carpeting with contrasting patterns in aisles and LED illuminated stair nosings improve both visibility and navigability. Public restrooms were modified for better patron access. Improvements extended backstage to performers’ restrooms, dressing rooms and rehearsal spaces. 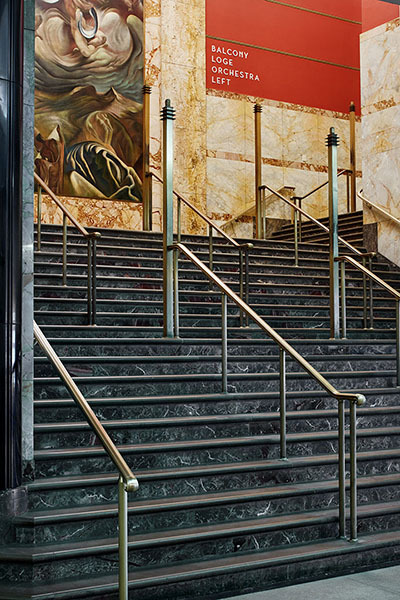 Decorative panels and rails were added to the multitude of exit stairs for compliance with current building codes and ADA standards.